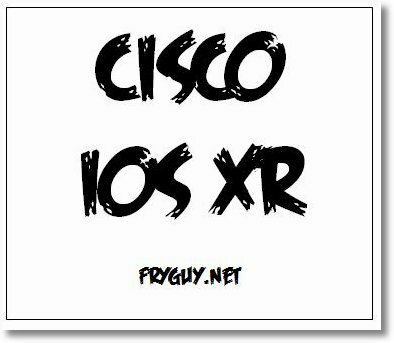 One last IOS XR post and then it will be time to post the IOS XR workbook. Ok, let’s quickly look at loading a configuration from the disk and overwriting an existing configuration. I have copied a config to disk0a: called newconfig.txt. What I want to do is install this configuration as the running config on the router. operation can be service affecting. Ok, so now we are at an unconfigured device. Now we can load the config on the disk to the running config. Next Hop Resolution Protocol comes in two fashions on the IOS XR. The first is Cisco proprietary and called Hot-Standby Router Protocol or HSRP and the other is the industry standard called Virtual Router Redundancy Protocol or VRRP. This is something that many customers use in order to maintain the availability of a default gateway on the network. If your customer uses a static route to a next hop, you might be using this as well. Like everything else with IOS XR, NHRP is handled a little differently. With IOS, you configure your standby commands under the interfaces; in IOS XR you use ROUTER HSRP or Router VRRP. For this lab we will use interface Te0/1/0/0 and a subnet of 150.1.12.0/24. Ok, now it is time for some L2VPN. 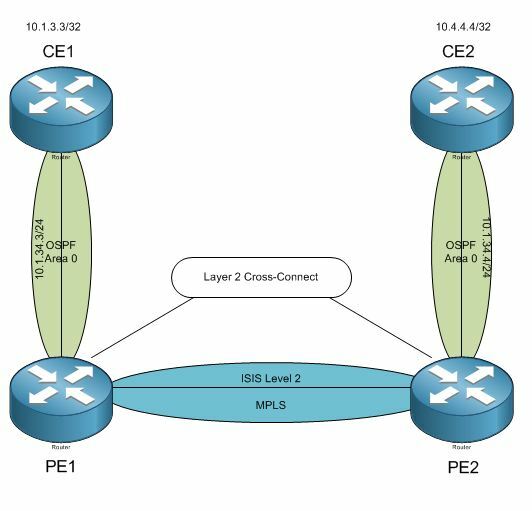 Here we will use the same diagram as before, but instead of providing MPLS VPN between CE1 and CE2, we are going to create a L2VPN so that CE1 and CE2 think that they are directly connected to each other. This lab builds off the previous post, so the routers where already configured.